BattleGR Tactical Games is located in Grand Rapids, MI, and provides laser tag and Archery Tag® experiences that are unique to the area. Our games are team based and include clear objective-based missions. Book online now, or call (616) 345-0698 for more information. At BattleGR, our indoor laser tag games are inclusive and do not allow players to get tagged out and have to wait for the next game to start. We offer seven different missions or objective based games to keep the fun interesting and engaging. 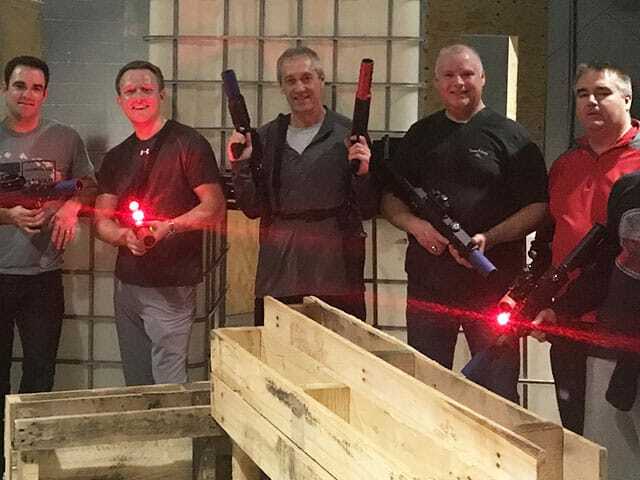 Our laser taggers have red/green dot scopes and no vests, and the atmosphere has dim warehouse lighting that is perfect for any friendly battle. We cater to kids and adults of all ages, and offer single play and events for birthday parties, corporate team building, bachelor or bachelorette parties, and more. 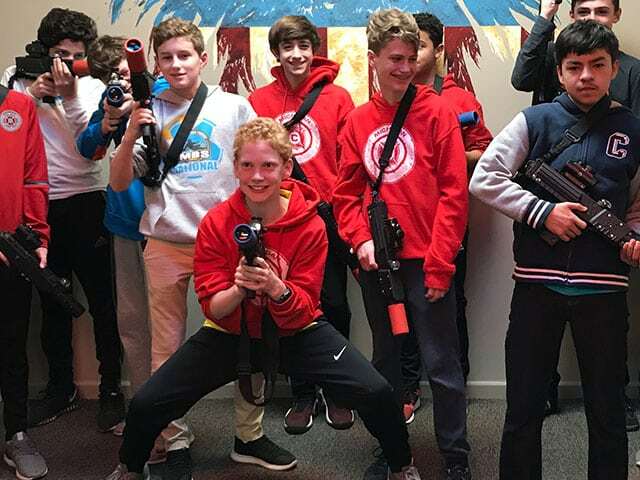 Our climate controlled laser tag facility provides hours of fun during the summer heat and winter cold. BattleGR offers a mobile experience like no other. 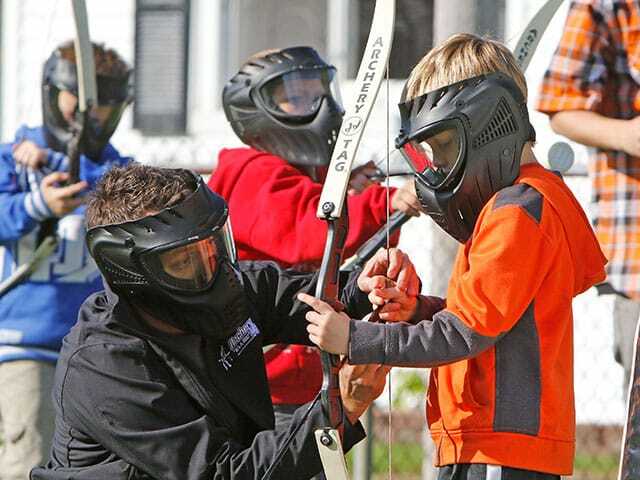 Our team will bring the fun and exhilaration of laser tag or archery tag to your location. Common location choices include backyards, parks, gymnasiums, indoors or outdoors, and more. Nearly any location, day or night, will work. We’ll come to your location and setup state-of-the-art taggers and bunkers on the playing field to make the experience realistic. 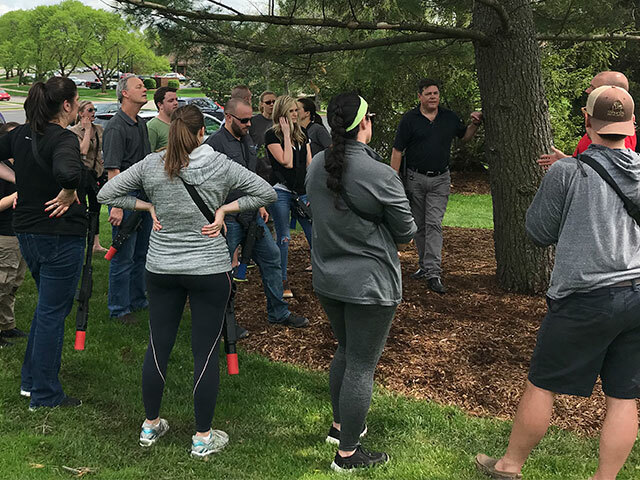 Whether it’s a birthday party, team building exercise, family reunion, youth group outing, corporate event, or just a fun and unique activity with friends, BattleGR can provide an experience you won’t forget! Book online now, or call (616) 345-0698 to learn more. 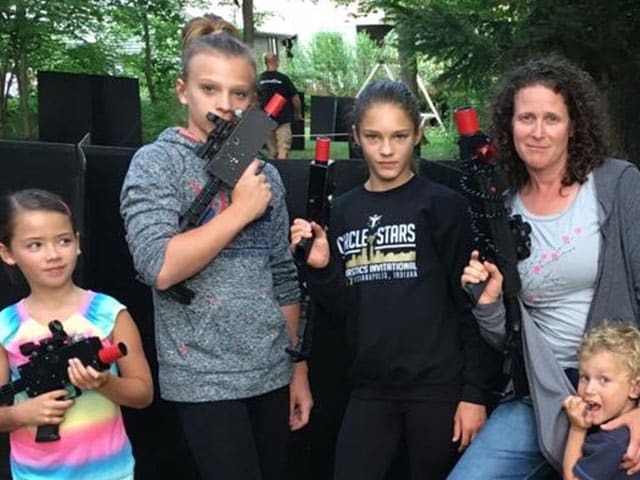 BattleGR is located in Grand Rapids, MI, and serves Grandville, Grand Haven, and the area by providing entertainment through laser tag and Archery Tag® tactical games. What are you waiting for? Book online now, or call (616) 345-0698 and get ready to have some fun!